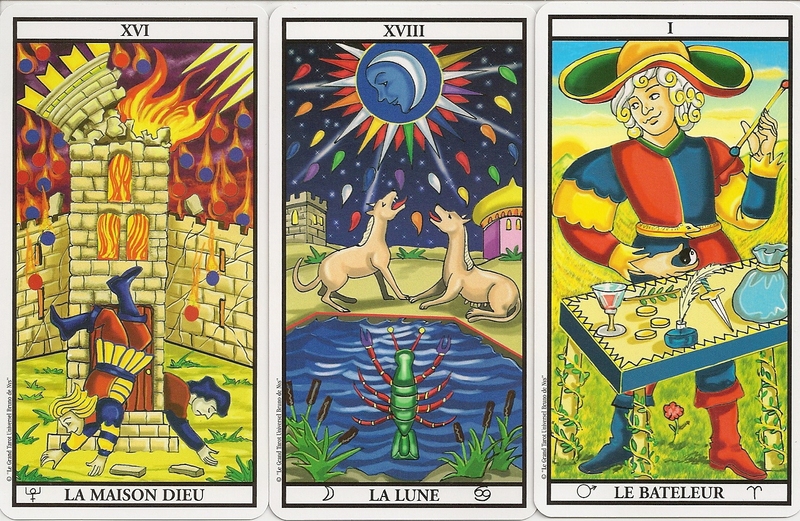 Bruno de Nys is a medium and clairvoyant, who wrote several books about tarot. The cardstock of this deck is good. The colors are bright. 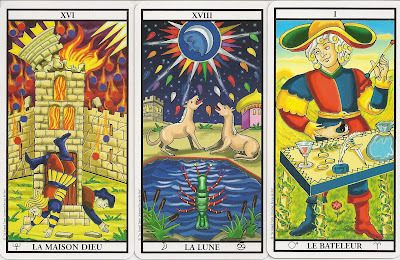 The Majors have modernized images, but are still close to the classic Marseilles Tarot. 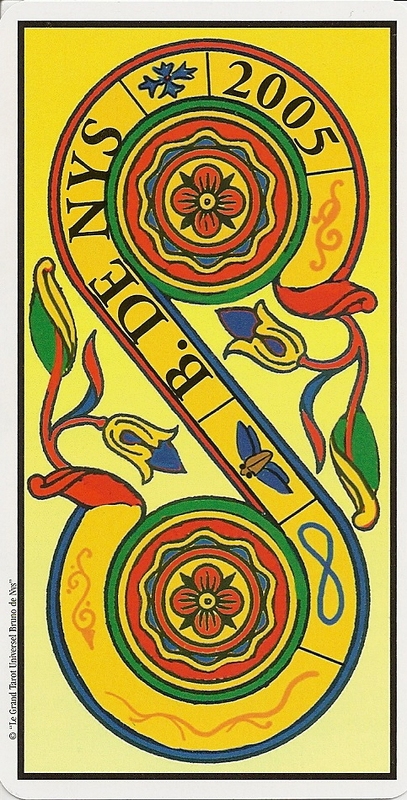 The Minors look like someone took very exactly the Grimaud TDM line drawings and colored them per hand, on many cards the brush stroke goes over the line drawings. Mine is from the 3rd edition.